MANILA, Philippines - President Rodrigo Duterte on Tuesday, October 17, declared the liberation of Marawi City from "terrorist influence." 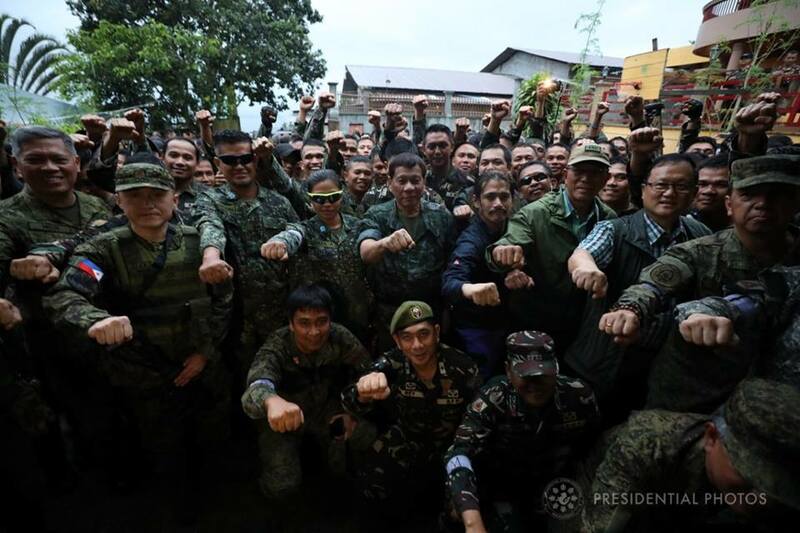 "Ladies and gentlemen, I hereby declare Marawi City liberated from the terrorist influence that marks the beginning of rehabilitation," Duterte said in a speech before troops 148th day into the crisis. The historic announcement was made after the death of terrorist leaders Omar Maute and Isnilon Hapilon on Monday in the main battle zone of Marawi, the capital of Lanao del Sur. AFP Spokesperson Brigadier General Restituto Padilla, told the press that the war in Marawi continues. "It will continue until armed elements are dealt with. But terrorists no longer have complete control." Marawi City has been dragged by the ISIS-inspired terror group Maute since May 23. With over five months of battle against the Maute group, more than 800 of the enemies were killed, a total of 162 government troops and 47 civilians died to defend the land. Duterte and Defense Secretary Delfin Lorenzana said it will cost more than ₱50 billion to rehabilitate the war-torn city.